You Could Win a T6 Ship with the Foundry! It’s time to test your skills and build your best mission – it’s time to take part in a Foundry Challenge! 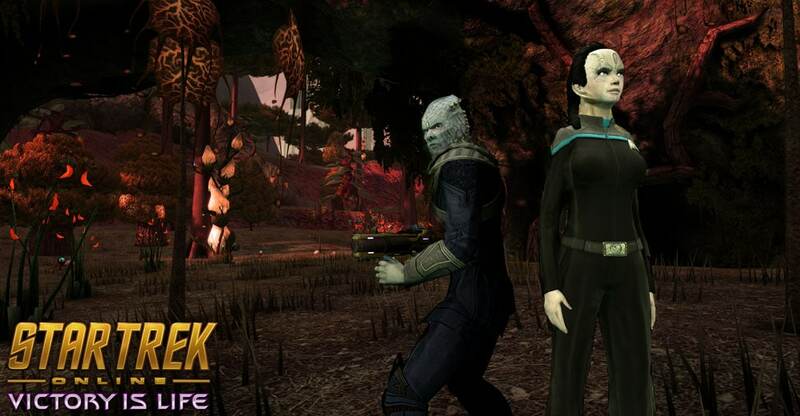 The Foundry is Star Trek Online’s system for creating your own missions for other Captains to try, and we’re teaming up with the Foundry Roundtable for this edition of their monthly Foundry Challenge. Participate by making a mission of your own, and you could win a T6 Infinity Promo Choice Pack! That’s right, the winner will have their choice of one of the ships listed on this blog, including the new Hur'q Dreadnought and the Constitution class! The winning entry will also be featured on an upcoming Ten Forward Weekly. Your mission, should you choose to accept it, is to create a Foundry mission for a Jem’Hadar or Cardassian Captain. The plot may be anything you wish, as long as it is geared toward either or both of these playable races. You’ll have until September 21st to create your mission. The rules of the contest can be found on this forum post here. Good luck, Captains, and we can’t wait to see what you create!